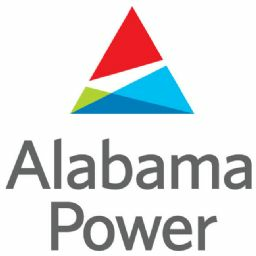 Georgia Power President and CEO Paul Bowers today announced the company will host an innovative research facility to develop and test water conservation technologies at Georgia Power's Plant Bowen, near Cartersville, Ga. The Water Research Center (WRC) will provide a venue for developing and testing technologies to improve water efficiency by addressing withdrawal, consumption and recycling throughout the power generation process. Georgia Power is collaborating with the Electric Power Research Institute (EPRI) to add broader industry perspective and guidance to the project. Expected to be fully operational by August 2012, the WRC will include seven separate research focus areas: moisture recovery, cooling tower and advanced cooling systems, zero liquid discharge options, low volume wastewater treatment, solid waste landfill water management, carbon technology water issues, and water modeling, monitoring and best management practices. "We are pleased to work with EPRI and technology suppliers in this first-of-a-kind project," said Bowers. "Water research and conservation is vital for the continued prosperity of our state, and we will contribute to that effort." Dr. Michael Howard, president and CEO of EPRI, said: "We are excited about the water treatment and conservation research projects envisioned for the WRC. The center can be the catalyst to advance new technology options that address the industry's current and future water challenges." The center is an extension of a pilot project that began in May 2010 at Plant Bowen to identify opportunities to address water withdrawal, consumption and recycling. As a result of the pilot project, technology has been implemented to reduce water withdrawals for the plant's scrubber process, an environmental control that reduces sulfur dioxide emissions. Results from research conducted at the WRC will be shared with Georgia Power and other EPRI members. Appropriate technologies can be implemented by utilities worldwide to address water issues. The center, which will be operated by the Southern Research Institute, may also serve to educate students and community leaders about the importance of water conservation. Georgia Power is the largest subsidiary of Southern Company, one of the nation's largest generators of electricity. The company is an investor-owned, tax-paying utility with rates below the national average. Georgia Power serves 2.3 million customers in all but four of Georgia's 159 counties. The Electric Power Research Institute, Inc. (EPRI) conducts research and development relating to the generation, delivery and use of electricity for the benefit of the public. An independent, nonprofit organization, EPRI brings together its scientists and engineers as well as experts from academia and industry to help address challenges in electricity, including reliability, efficiency, health, safety and the environment. EPRI also provides technology, policy and economic analyses to drive long-range research and development planning, and supports research in emerging technologies. EPRI's members represent more than 90 percent of the electricity generated and delivered in the United States, and international participation extends to 40 countries. EPRI's principal offices and laboratories are located in Palo Alto, Calif.; Charlotte, N.C.; Knoxville, Tenn.; and Lenox, Mass.